Why: Faith Erin Hicks is someone you should be paying attention to. 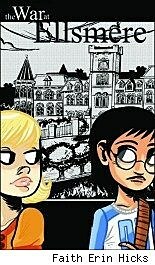 Later this year, her First Second graphic novel, Friends With Boys, will be serialized later this year on First Second's To Be Continued... imprint. Right now, you can read her webcomic Superhero Girl for free. She's very talented, with a style that lends itself very well to stories about both teenagers and twentysomethings. She's got a great handle on facial expressions, and she draws clothes that people would actually wear. The War at Ellsmere is a great place to start, as its boarding school drama gives Hicks a chance to show off the strongest aspects of her writing and art. Why: You've almost definitely heard the story of The Gift of the Magi before. 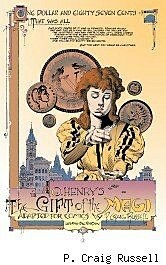 It's a classic story of love and irony by O. Henry. A good story is always worth reading, though, particularly when adapted by someone as talented as P. Craig Russell. Russell has had a long career filled with fantastic works, whether Killraven with Don McGregor or Sandman with Neil Gaiman. So, you've got a great artist and a good story at a great price: free. I don't think I'll have to pull your leg to get you to check this out. Why: Okay, hear me out: DC's post-event tie-ins have been overall miserable. That's fair, and I share your pain. Especially the ones that stack colons like cordwood: Final Crisis: Aftermath: That Comic You Didn't Read Because It Was Awful. My general rule is to not buy a comic if there's more than one colon or hypen in the title. It works out pretty well. All that aside: Four Horsemen was pretty cool. You don't need to know a lot about 52 going in, and the first issue will recap you pretty well. Oliffe's art is good (Bruce Wayne and Clark Kent look different!) and Giffen writing Batman is a delight. He's gruff, with these short, pointed sentences. It makes me wish Giffen had had more time with these characters. Keep an eye out for Snapper Carr, too, in the guest appearance of the decade. Why: The Hunter has been praised to the heavens, and with good reason. Like The Gift of the Magi, The Hunter is a perfect storm of content and creator. 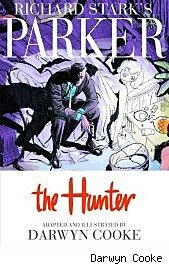 Richard Stark's The Hunter is a classic crime novel, and probably one of the best revenge tales ever told. Darwyn Cooke is absurdly talented, and his take on Stark's tale is straight out of the swingin' sixties, with all of the stylish crime capers that brings to mind. Men brood and grimace, chumps get punched out, and Parker burns his way through the mob. You know how this story is going to end from the first page, but that doesn't matter. The trip is too good to miss out on. WHERE CAN I GET DIGITAL COMICS?! As more players debut, I'll update the list. If you're a digital comics distributor, or a publisher with a branded app drop me a line. I'll be happy to add you to the list. WHAT'S THE DIFFERENCE BETWEEN ALL THOSE TYPES OF DIGITAL COMICS?! Functionally, not a lot. Most of them allow for panel by panel reading (or a variation thereof) or page-based reading. The main differences are in selection. Frustratingly, certain comics are offered on several services, but released at different times. Marvel alone offers five choices. Most other publishers keep to one distribution method, and if they don't, they tend to keep their stuff mirrored across the various methods. If you want DC Comics, you're using ComiXology, for example, but Boom! Studios has comics on both. For Marvel Digital Comics Unlimited, you'll have to pay a subscription fee. It's essentially Netflix for comics, however, so that may be worth it for you. 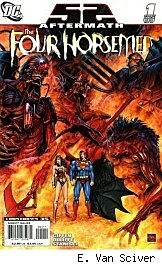 HOW OFTEN DO DIGITAL COMICS COME OUT?! Marvel has a weekly schedule, with an option for viewing the next month's releases. That's as close as you'll get to a release schedule. To see what's new on ComiXology, subscribe to this RSS feed. IDW generally releases books four weeks after they ship in print. ComiXology updates on Wednesdays, Graphic.ly updates throughout the week, and IDW's app updates on Tuesdays (with day-and-date books on Wednesday. I'll update with RSS feeds and landing pages that show new releases as they appear!